Jean Froissart (froy-sahrt), one of the liveliest and most prolific writers of the Middle Ages, was descended from Flemish stock. He was born in Valenciennes, then part of Flanders. His father was a painter of armorial bearings. The young Froissart was also to serve nobility, producing all manner of chronicles, romances, occasional poems, and lyrics for the courts of Europe. At the age of eighteen he presented himself with glowing credentials to Queen Philippa of England and was appointed secretary and royal historiographer. He traveled throughout England and Scotland collecting and recording views on battles and wars. In 1366 he began a long series of travels throughout Europe, visiting almost every court and collecting various prizes, benefices, and pensions for his chivalric accounts of people and events. As a cleric, Froissart from time to time was assigned as priest to various parishes, but he never had the patience to carry out the mundane duties of masses, marriages, and funerals. He was too determined to see the world at first hand and to record the events around him. His famous Chronicles depict the major events of Western Europe from 1327 through the Hundred Years’ War and Crusades to the murder of Richard II in 1400. It is one of the most graphic accounts ever produced of any age and is spiced throughout with delightful autobiographical tidbits. His other works include the narrative Espinette amoureuse, The Prison of Love, and Joli Buisson de Jonece, which were imitated by Geoffrey Chaucer, and the Arthurian verse romance Méliador. Despite the fact that throughout his life he was the intimate of royalty and nobility and the friend and colleague of the greatest poets and historians of the fourteenth century, Froissart died an obscure death and was buried in an unmarked grave. Ainsworth, Peter F. Jean Froissart and the Fabric of History: Truth, Myth, and Fiction in the Chroniques. New York: Oxford University Press, 1990. Looks at the literary character of the Chronicles. De Looze, Laurence. Pseudo-autobiography in the Fourteenth Century: Juan Ruiz, Guillaume de Machaut, Jean Froissart, and Geoffrey Chaucer. Gainesville: University Press of Florida, 1997. Examines the autobiographical elements in the works of each of these literary figures. Demowski, Peter F. Jean Froissart and His “Méliador”: Context, Craft, and Sense. Lexington, Ky.: French Forum, 1983. Studies this Arthurian romance, one of Froissart’s major literary works. Palmer, J. J. N., ed. Froissart: Historian. Totowa, N.J.: Rowman & Littlefield, 1981. A collection of essays by scholars examining Froissart’s work as an historical chronicler. Shears, Frederic Sidney. Froissart: Chronicler and Poet. 1930. Reprint. Folcroft, Pa.: Folcroft Library Editions, 1972. A thorough study of Froissart’s life and work. Statue of Jean Froissart, Chimay (Belgium). Jean Froissart (c. 1337 – c. 1405) was one of the most important of the chroniclers of medieval France. For centuries, Froissart's Chronicles have been recognized as the chief expression of the chivalric revival of the 14th century Kingdom of England and France. His history is also one of the most important sources for the first half of the Hundred Years' War. 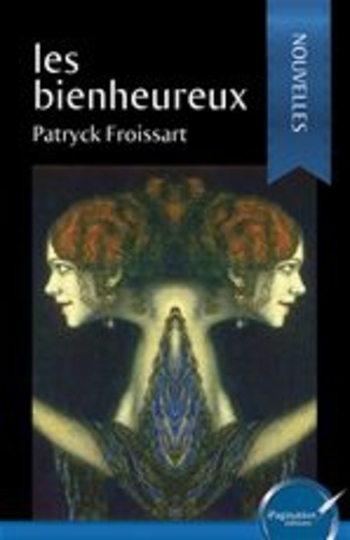 Very little is known of Froissart's life and the little that is known comes mainly from Froissart's own Chronicle and his poems. Froissart originated from Valenciennes, Hainaut, and his writings suggest his father was a painter of armorial bearings. Froissart began working as a merchant but soon gave that up to become a clerk. By about age 24, he had gained significant distinction and carried with him a letter of recommendation from the King of Bohemia when he became a court poet and a kind of official historian to Philippa of Hainault, queen consort of Edward III of England. He traveled around England, Scotland, Wales, France, Flanders and Spain gathering material and first-hand accounts for his Chronicle. He also went with Lionel Duke of Clarence to Milan to attend the duke's marriage to the daughter of Galeazzo Visconti. At this wedding two other significant writers of the Middle Ages were present, Chaucer and Petrarch. After the publication of this first book, and after the death of Philippa, he enjoyed the patronage of Joanna, Duchess of Brabant among various others. He received rewards—including the benefice of Estinnes, a village near Binche and later became canon of Chimay—which were sufficient to finance further travels, which provided additional material for his work. He returned to England in 1395 but seemed disappointed by the changes since he was last there and what he viewed as the end of chivalry. The date and circumstances of his death are unknown but St Monegunda of Chimay claims to be the final resting place for his remains although this is unverified. The text of Froissart's Chronicles is preserved in more than 100 illuminated manuscripts, illustrated by a variety of miniaturists. One of the most lavishly illuminated copies was commissioned by Louis of Gruuthuse, a Flemish nobleman, in the 1470s. The four volumes of this copy (BNF, Fr 2643; BNF, Fr 2644; BNF, Fr 2645; BNF, Fr 2646) contain 112 miniatures painted by the best Brugeois artists of the day, among them Loiset Lyédet, to whom the miniatures in the first two volumes are attributed. Jean Froissart is also known to have been one of the first to mention the use of the verge and foliot, or verge escapement in European clockworks, by 1368. All miniatures by Loyset Liédet, unless stated. Execution of Hugh the younger Despenser 1326. A miniature from one of the most famous manuscripts of the Chronicle. Battle of Sluys 1340 in the Gruuthuse MS.
Battle of Crécy, 1346 From a 15th-century illuminated manuscript of Jean Froissart's Chronicles (BNF, FR 2643, fol. 165v). Battle of Neville's Cross, 1346. English victory over the Scots from the Gruuthuse manuscript. John the Good, king of France, ordering the arrest of Charles the Bad, king of Navarre; from the Chroniques of Jean Froissart. Battle of Poitiers 1356 (miniature of Froissart). Après la bataille de Roosebeke Charles VI rentre à Paris à la tête de son armée. Les Parisiens négocient avec ses envoyés les conditions de leur soumission. This article is distributed under the Creative Commons Attribution/Share-Alike License. For information on the contributors, please see the original Wikipedia article. © 2010 eNotes.com, Inc. All Rights Reserved.